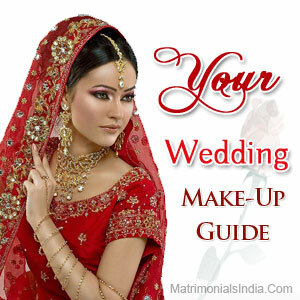 It is always suitable to choose your make up type according to the dress and jewelry that you are going to wear. If they are heavy then, try to keep your make up light and vice-versa. If your wedding is planned in winter season, then go for warmer and deeper shades, and if it is a spring/summer wedding, then go for bright and pastel shades. Although your make up should be heavier than normal days, but this does not mean that you wear oodles of make-up and end up looking a drag queen. It is advisable to use pigmented cream foundation in yellow tones and layer it with powder foundation to make the skin look smoother and beautiful when you are photographed. Remember to synchronize your eye make up with lip make up. If you are opting for dramatic eyes then go for lighter lip shades and if you are going for darker lip color then opt for lighter eye shadows. Don't forget to apply foundation on areas like neck, ears and chest. Otherwise, you will seem to have a separately painted face. Dust some translucent or bronzing powder in the end; this indeed gives a natural look to your face. Apart from makeup, you should take care of your skin also. Avoid going in sun and keep yourself hydrated. 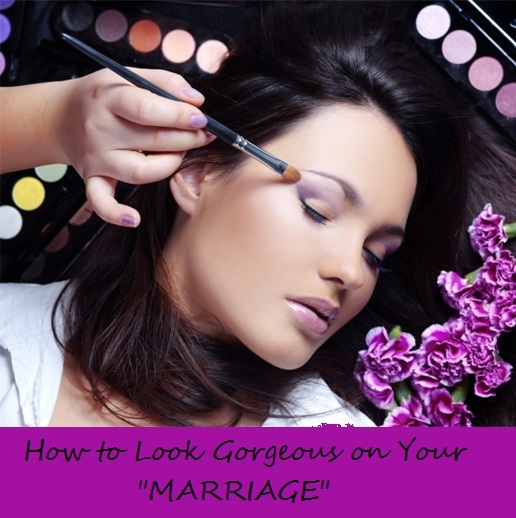 Moreover, try these easy tips and look astonishing on your wedding day.